Auburn is the only team to beat Tennessee twice this season, and both times, the Tigers did it by hitting double digit threes and forcing double digit turnovers. 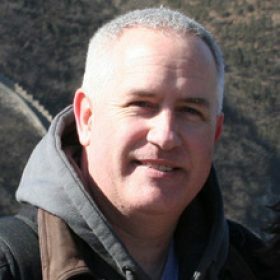 We know that allowing the opponent to get to the free throw line an inordinate number of times was also a problem against Kentucky once and the LSU Tigers the only time we played them, but if there’s a blueprint for beating the Vols in the Big Dance, I’d look first for teams that check the same boxes Auburn does. Auburn’s 5th in the nation in three-pointers made per game, and the table above includes the Top 20 teams in that category. Most of those won’t make the tournament, but some of them will. Wofford, Villanova, Belmont, or Furman could spell trouble when it comes to having to defend three-pointers. Auburn is 6th in the nation in forced turnovers per game, and the above table includes the Top 20 in that category. Again, most of those won’t actually be in the tournament, but some may have or still may earn automatic bids by winning their conference tournaments, and some have NET ratings strong enough to get at-large bids. Buffalo, N.C. State, VCU, and a couple of others could give Tennessee problems if they end up in the same region. The good news is that there doesn’t appear to be, apart from the Auburn Tigers themselves, a team that presents the same lethal combination that killed Tennessee’s two chances at SEC titles this season. Maybe Tennessee’s performance today was more about playing the day after a game that felt like a national semi-final. There’s a reason they don’t play the title game without a day of rest between that and the Final Four games. And maybe Bruce Pearl is the sole caretaker of that pocketful of kryptonite and his team will get bounced by someone else before they can advance to face the Vols again. 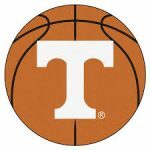 But if the magic formula is great three-point shooting and an ability to force a lot of turnovers, then the Vols are going to want to give a wide berth to any team that does well at both.